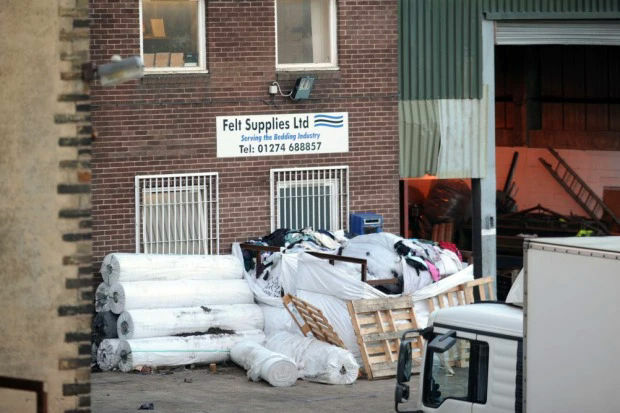 On the 1 February 2012 the carding machine forming part of a production line at Felt Supplies Ltd Dewsbury, had become blocked with waste. Nasir Hussain, brother of Wazir Hussain, gained access to the line whilst it was still running. Leeds Crown Court heard how Nassir overrode the safety system using a spare key to unlock one of the gates. He then stood on top of the carding machine with a metal bar in order to clear the blockage while the line was still running. Although the machine was switched off after a time it was still running down when his clothing became entangled and he was pulled into the machine and killed. The investigation by the Health and Safety Executive found the use of a spare key to access machinery, whilst it was operational, was commonplace by the workforce. It was custom and practice for workers to gain access to the machinery in order to clear a jam or blockage. Despite HSE issuing a Prohibition Notice to stop these unsafe practices and taking the spare keys into possession the unsafe practices were allowed to continue for a sustained period following the fatal accident with the knowledge and consent of company director Wazir Hussain. Felt Supplies Ltd of Wharfedale Business Park Edward Street Bradford pleaded guilty to breaching Sections 2 (1) and 22 (2) of the Health and Safety at Work Act 1974 and was fined £175,000 with £64,165.55 costs by Leeds Crown Court. Wazir Hussain of Garden Street Dewsbury pleaded guilty to breaching Sections 2 (1) and 22 (2) of the Health and Safety at Work Act 1974 and was handed a 12-month suspended prison sentence for 18-months. After the hearing, HSE inspector Jacqueline Ferguson commented: “This is a tragic incident that could so easily have been avoided. In this case it was the Director that was fatally injured and it could so easily have been an employee, in which case, we may have been looking at a corporate manslaughter charge.